To start, cut out the design you want to apply to your hurricane vase. 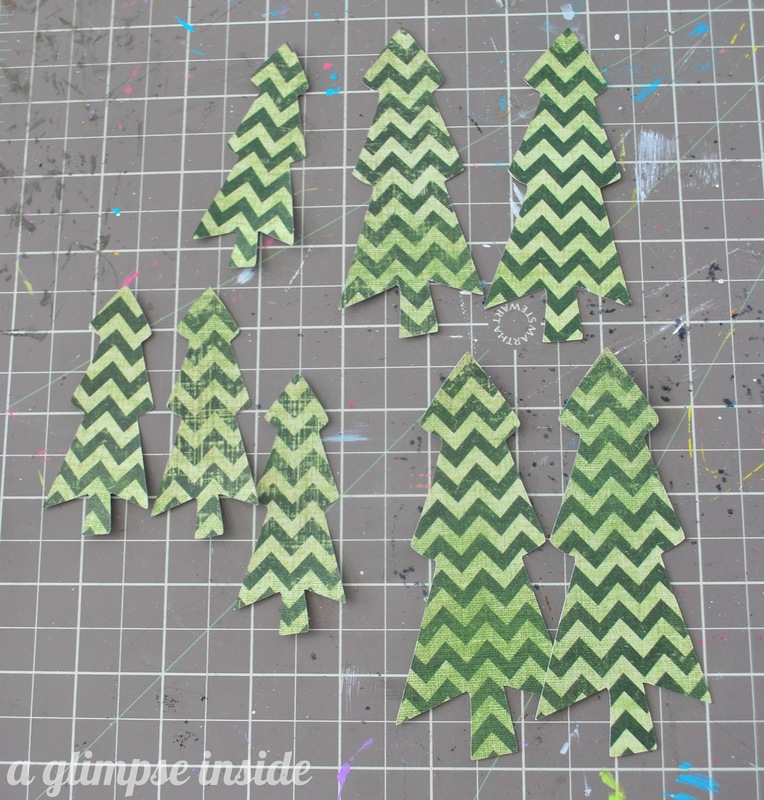 I chose to cut out some Christmas trees using my Cricut Machine in a few different sizes. After making sure your vase was nice and clean, apply some Super Gloss Mod Podge to the outside of the vase. 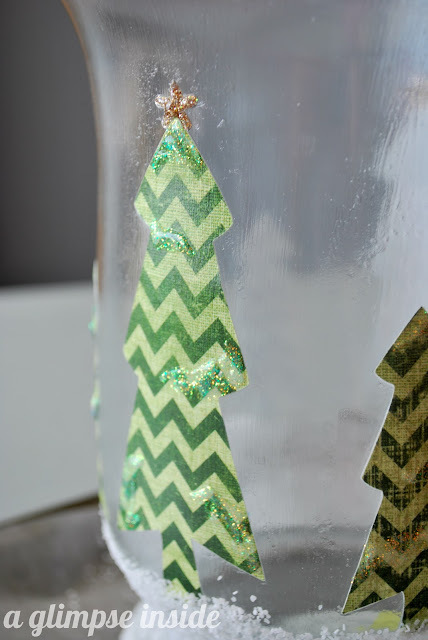 I used the roller applicator to apply the Mod Podge. I applied the Mod Podge in small sections at a time and then applied one of the trees. 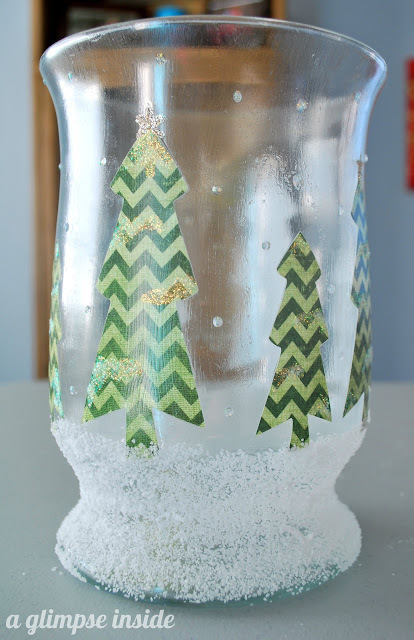 I rubbed the tree with my finger to ensure that it all stuck down without any bubbles. 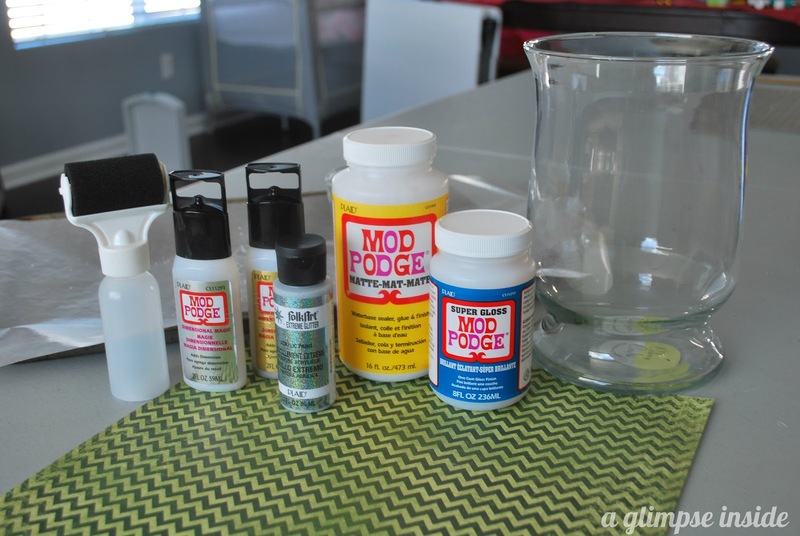 TIP: When applying the Mod Podge, try not to overlap the already applied and drying Mod Podge to much or too many times. It will rub off the Mod Podge that is starting to dry. Continue adding your cut outs all the way around your hurricane. Give trees a coat of Mod Podge to seal. 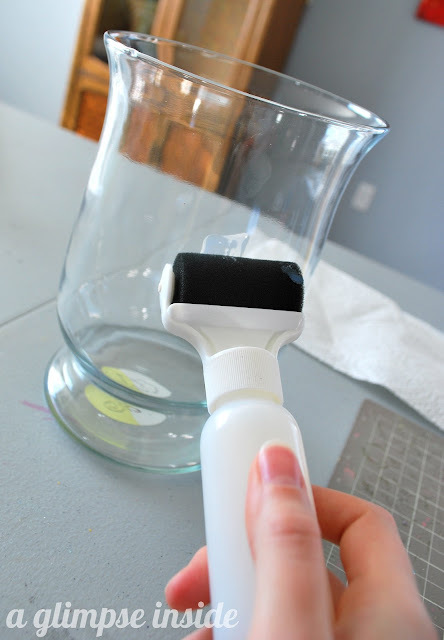 Even with the Mod Podge being Super Gloss, it will still make your vase a little foggy looking. I like that it isn't super clear though because it diffuses the candlelight. Once my trees were relatively dry, I used the Matte Mod Podge and applied it at the bottom of the vase and up over the trunk of the trees. 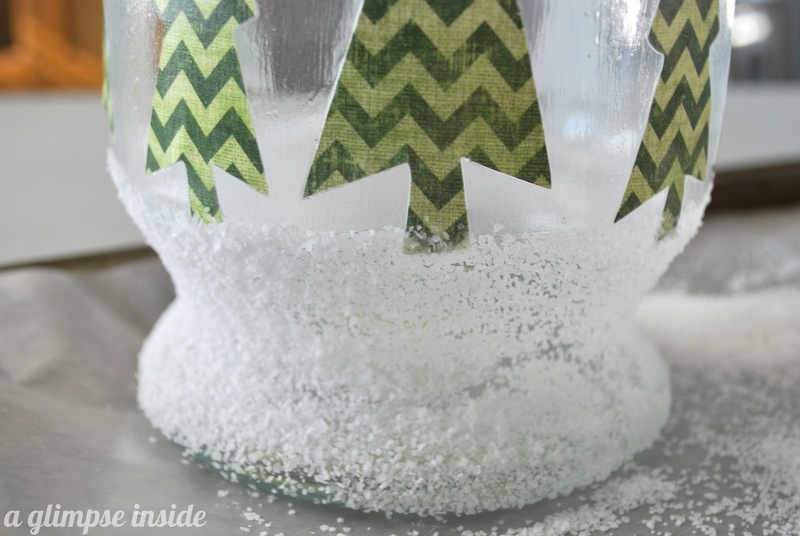 I sprinkled some Kosher Salt onto the glue so it looked like snow. Shake off excess salt and set aside to dry. I used the Dimensional Magic on the trees to make it look like snow. Do not apply to much otherwise it will drip or place it on it's side while it dries. I also added a gold star to a few of the trees for a little more flair. Again, don't apply it too thick. 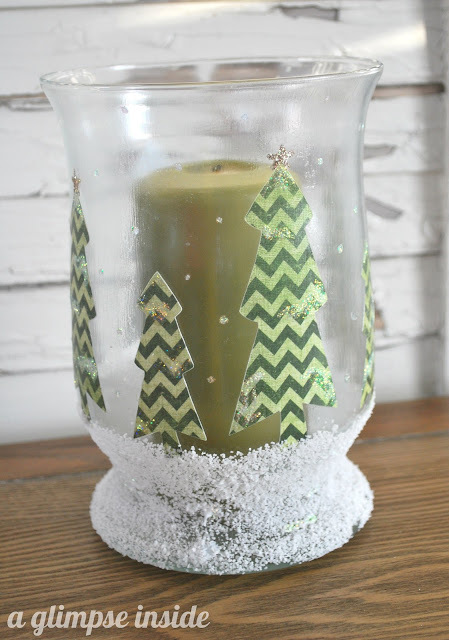 I also applied the Silver Dimensional Magic onto the glass here and there to look like snow falling. 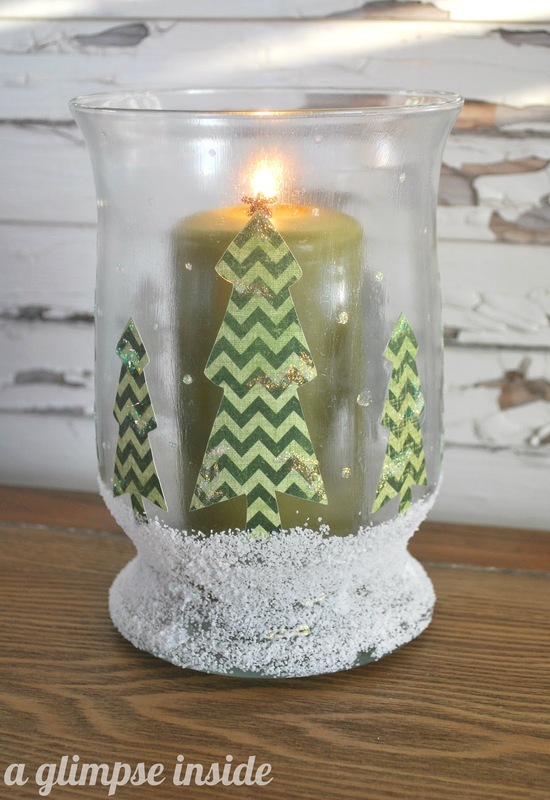 Just add a candle once everything is dry. 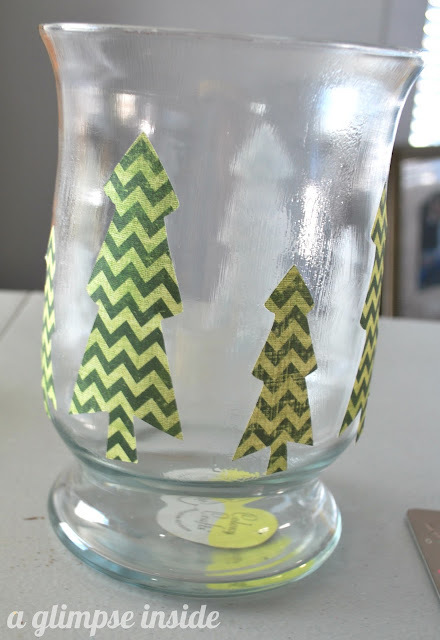 Note: Mod Podge on glass can take months to FULLY cure. So once it is complete, place it where you want it and don't mess with it. 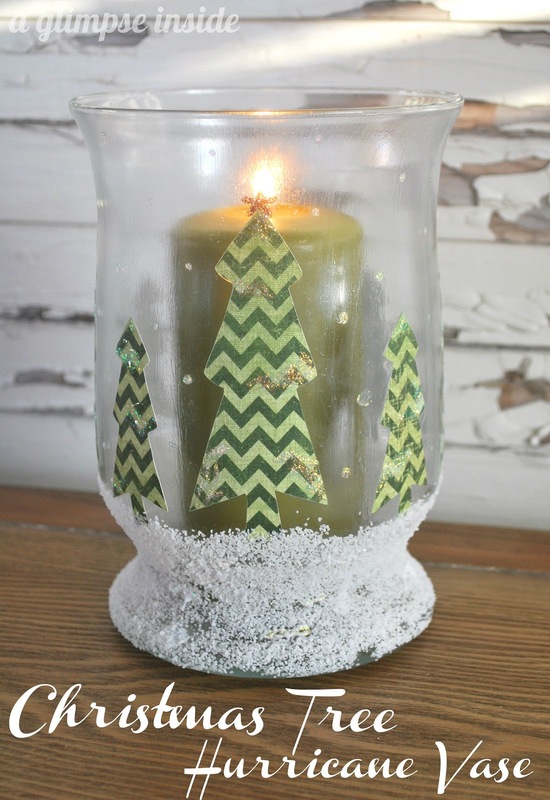 It looks great when the candle is lite. Can't wait to put it out along with all my other holiday decorations. Make sure you stay up to date with Plaid Crafts so you don’t miss all the awesome things you can create this holiday season! Looking for more awesome holiday ideas? Make sure and check out these ladies! 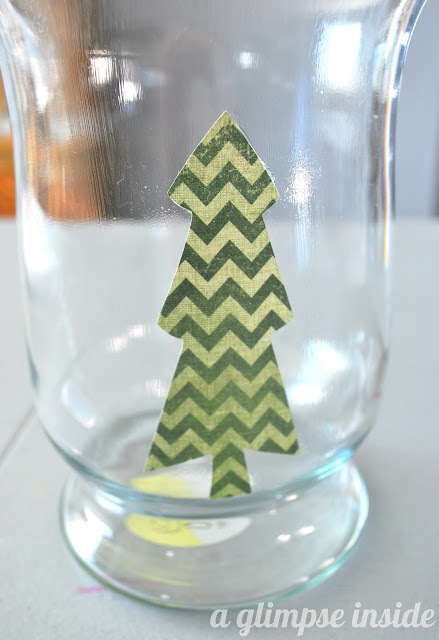 I wrote this post as part of a paid campaign with Plaid Crafts and Blueprint Social. The opinions in this post are 100% my own. 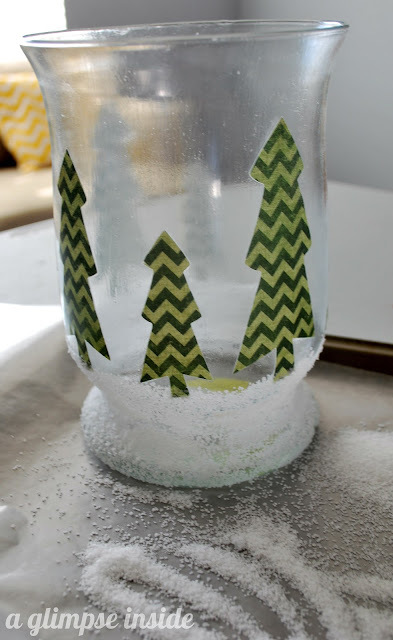 Mod Podge is fabulous! Beautiful! I love that you used the Dimensional Magic to make the trees look like they were coated in snow too! Great project!! This is so pretty - I love it!! Thanks so much Amy! Sorry it took me so long to respond! Hope you had a great Christmas and start to 2013!